There seems to be a deficit in children’s reading these days, but we have a remedy! These five classic children’s novels are sure to keep your kids reading for hours. Don’t worry, you can peruse some of these as well. You know how sometimes when you listen to your child speak, you want to cry? Not just because of the poor use of language, but also because of the lack of general knowledge of anything? Well, we can’t help you with that, but we can suggest a few novels that will slyly make your child a better person (pronounced “smarter”). Subtle references and geographical locations will not be an issue for your kid once he or she is equipped with any of these bad boys (provide encyclopedia, please). 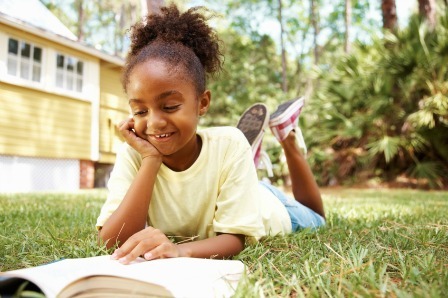 These are our picks of five classic novels every child should read. Please note they are just the tip of the iceberg. Special shout-out to Winnie the Pooh, The Adventures of Tom Sawyer and The Hobbit, which are wonderful classics but did not make it on the list. The full title of this 1726 novel is Travels into Several Remote Nations of the World, in Four Parts. By Lemuel Gulliver, First a Surgeon, and then a Captain of Several Ships, which was shortened to just Gulliver’s Adventures for obvious reasons. This satire/parody of the traveller’s tales tells a story of Lemuel Gulliver, an adventurer. During his voyages, Gulliver is captured by little people of an island named Lilliput, then captured again by a giant farmer in the land of Brobdingnag, marooned by pirates and rescued by the flying island of Laputa, then mutinied on an island of horses, and in the end, winds up being an antisocial recluse. What’s not to love? On a deeper level, the book is full of metaphors for human nature and the battle between faith and reason. But for a child, this is just gold! The adventures will keep any youth occupied. This classic collection of folk tales was first published in 1812 by the Grimm brothers. The book contains all the favourites, like Rapunzel, Hansel and Gretel, Cinderella, Rumpelstiltskin and so many more. These are the stories all the past generations grew up on and so many cultural references are based on. Not to mention that every story has a moral, so you can just take a vacation and let the book rule for a little while. To top it off, children love fairy tales. You wouldn’t even have to force reading time. It’s a win-win for everybody. This is just a must-read. The book was first published in 1865. Everyone knows the story of Alice, who fell into a rabbit hole and found herself in Wonderland. The book can be nonsensical at times, but it’s intricately and wonderfully written. It’s an exciting adventure that has had a huge impact on modern culture. So, perhaps instead of allowing Disney to introduce Alice to your child, maybe allow the book to do the talking? It’s interesting enough for any kid to overlook the complicated language. Mr. Verne knew how it’s done when he published this book back in 1870. An expedition (which includes a Canadian harpoonist) sets out to capture an odd marine monster, which turns out to be a submarine headed by Captain Nemo? Yes, please! No need to explain the breakthroughs this book made when it was first published. Just toss this puppy to any child, and watch them zoom through it. It’s exciting, suspenseful, curious and impeccably written. This one is definitely a must-read for any child or adult. Nowadays this 1910 classic sure could help some kids with their unpleasant disposition. This is the tale of selfish, sour, 10-year-old Mary Lennox, whose parents die of cholera, and she is sent to live with her wealthy uncle in Yorkshire, England. As Mary roams her uncle’s mansion and garden, intrigued by a locked “secret” garden, her selfishness and bitterness begin to wear off. Beautifully written, the gripping descriptions of the garden, Mary, the wheelchair-bound Colin… oh! You just have to read it — er, we mean, all children should read it. Yes. This book is magic. There you go. These books are sure to ignite a bit of curiosity, a bit of creativity and stimulate the old cranium. Your children will be dropping references to 19th century technology and describing English moors in no time! Let us know which ones are your favourites!